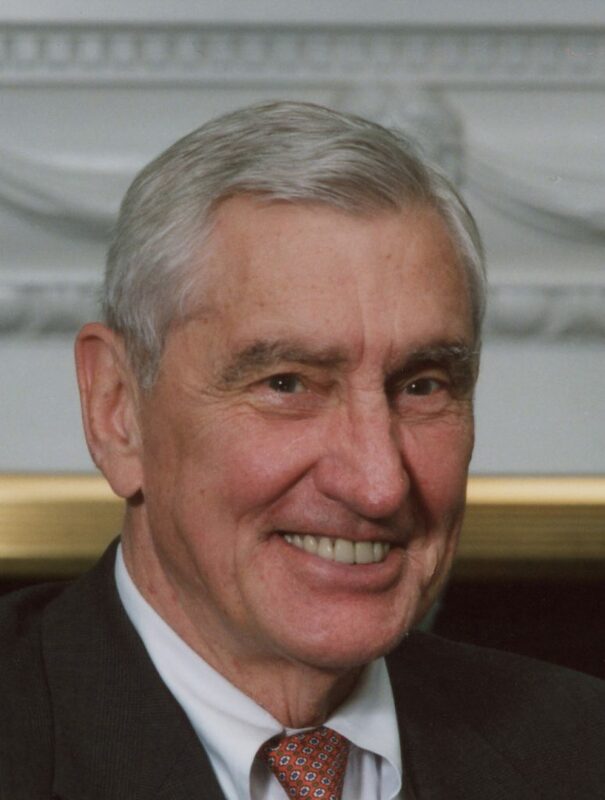 KANSAS CITY, MO – Gordon Taylor Beaham, III, Chairman Emeritus of the Faultless Starch/Bon Ami Company, and a prominent business and civic leader, died Sunday, September 18th. The Faultless Starch/Bon Ami Company was founded in Kansas City, Mo, in 1887. Gordon Beaham joined the family-owned company in 1960, as a fourth generation manager. The company is currently managed by members of the fifth generation of the Beaham family. Gordon Beaham was known as an innovator in the consumer products industry. Among his product engineering and marketing accomplishments, Gordon launched Faultless Spray Starch, the nation’s first aerosol starch. Aerosol production remains a core competency of the company. Gordon also diversified the business, adding brands such as Bon Ami, Garden Weasel, Kleen King, Trapp Private Gardens, Magic Sizing, and recently, Niagara Spray Starch. Gordon was featured in Forbes, The Wall Street Journal, The Kansas City Star, and many other publications, for returning Bon Ami Cleanser to wide retail distribution. Gordon began importing the Garden Weasel rotary cultivator from Germany in 1975, on a handshake deal. Sales of the Garden Weasel were bolstered by widely recognized television commercials. Gordon always believed in giving back to his community and making the world a better place. His civic and organizational activities were extensive and included supporting organizations that worked with all ages and all walks of life in Kansas City. He was the President of the Board of Directors of the Boys and Girls Club of Kansas City, and remained an active supporter after his retirement. He also served as the Chairman of the National Parks & Conservation Association, helping to protect American wildernesses and bring new visitors to our treasured parklands. He was a member of the Princeton University Alumni Council, a Trustee at the Sunset Hill School and the Pembroke Country Day School. Gordon and Nancy, his wife, together were active in the Tocqueville Society for the United Way. Gordon was a former lay reader and Vestryman at St. Andrew’s Episcopal Church. Gordon supported many business organizations, and served as Director of Grocery Manufacturers of America, International Laser Systems, Inc., American Bank, Ameribanc of St. Joseph, Mercantile Bank of K.C., and Info Data Systems. He served as a Trustee of Northwestern Mutual Life Insurance Co., Chairman of the Board of The Watchdogs of the Treasury in Washington, DC, Director of Students in Free Enterprise, Trustee of Midwest Research Institute, and a Director of Business Industry Political Action Committee. Gordon attended Pembroke Country Day School in Kansas City, graduating with the class of 1949. From there, he attended Princeton University, where he earned a BS in Engineering in 1953. After college Gordon was a commissioned Ensign in the US Navy at the Naval OCS. He completed Underwater Demolition Team Basic and Advanced Underwater Training. He was stationed at the Virginia Naval Amphibious Base and at the Submarine base at St Thomas, Virgin Islands. In 1958, Gordon earned an MBA at the Harvard Business School. He returned to Kansas City where he joined the ranks at Procter and Gamble for two years, before joining his family’s business. Gordon is survived by Nancy, his wife of 62 years. They had four children, Catherine Beaham Smith, Carolyn Beaham West, Robert Beaham, and David Beaham. Their son David died in 2011. Gordon is also survived by his sons-in-law, Geoff Smith and Roy West, and his daughter-in-law, Tricia Beaham. Gordon was thrilled to be grandfather to Jacqueline Taylor Beaham, Gordon Parker Beaham, and Lillian Grace Beaham; Robert Leroy West; and Lily Belle Beaham. Gordon is survived by his beloved sister Olive Beaham Lansburgh, her two children, Jennifer Wright Berrigan and Allen Wright, and their children. Gordon always felt that the employees of the Faultless Starch/Bon Ami Company were part of his extended family. He knew them by name, and took an interest in their expertise at all levels of the business. Funeral Services will be held Friday, September 23 at 3:00 p.m. at St Andrew’s Episcopal Church in Kansas City, Missouri. In lieu of flowers, the family suggests donations to the Boys & Girls Clubs of Greater Kansas City http://bgc-gkc.org/donate; the Gordon T. Beaham III Scholarship Fund at Princeton University http://giving.princeton.edu/make-gift (see Memorial Gifts); and the David Beaham Reading Room at the University of Kansas Anschutz Library http://kuendowment.org/givenow.